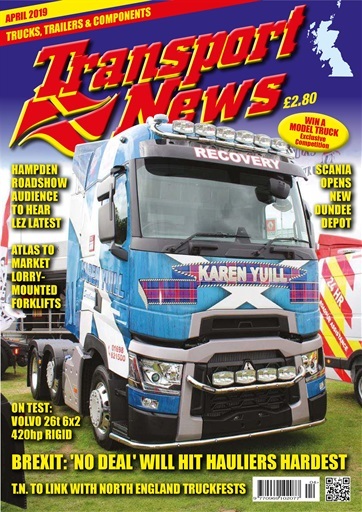 Road transport news in Scotland and the north of England this month centres on the forthcoming delivery restrictions in Glasgow as the city plans for a Low Emission Zone. It’s all about to be revealed at the Scottish Clean Air Roadshow to be held in Hampden Park, the home of football. This month’s truck test is different as we take a 26t Volvo 6x2 rigid with a rear steer axle on an urban delivery route. 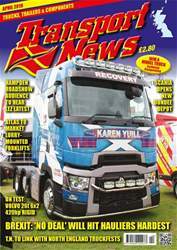 Also, we discuss what distracts truck drivers and Scania is on the receiving end of the Transport News Top Truck Award 2019.